More often than not remakes are a bad idea. Once in a while they work out, everyone knows the classic movie, The Maltese Falcon (1941) is actually a remake of a movie of the same name form ten years before. They are based on a Dashiell Hammett novel and are both worth seeing although the Humphrey Bogart version is far superior to the original. The remake of The Girl With The Dragon Tattoo is in pre production and Let The Right One In re-titled Let Me In is already in the can. Fortunately the proposed Americanisation of Oldboy appears to have been abandoned but Sympathy for Mr. Vengeance (2002) has been suggested for the remake treatment as has Battle Royale (2000) and The Orphanage (2007). If rumours are true there are remakes of Suspicion (1941) and The Birds (1963) on the way. I propose a new law making it a capital offence to mess with Hitchcock movies! The proposed remake of one film did get me thinking though. 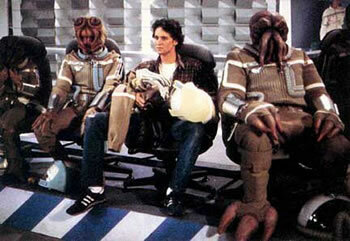 Flight of the Navigator (1986) was a family film whose main objective was probably to cash in on the success of E.T. (1982). Not a bad family film, but I’m really not sure what a remake can offer. A movie that really should be remade however is The Last Starfighter, made in 1984 on the back of the success of the Star Wars Trilogy and utilising early CGI, the idea was far better than the resultant movie. It really is a fantastic concept let down by the limitations of the effects of the time and a commercial attempt to be too family friendly. Teenager Alex Rogan (Lance Guest) lives in a trailer park with his mother and kid brother. Like Luke Skywalker he dreams of doing something with his life but finances stand in the way of his college plans. His only interests appear to be his girlfriend Maggie (Catherine Mary Stewart) and playing an arcade game called Starfighter. The aim of the game is to “defend the Frontier from Xur and the Ko-Dan Armada” When Alex achieves the record score on the game he is recruited by the games inventor to “defend the Frontier from Xur and the Ko-Dan Armada” for real! With too much time spent back home and not enough in space the battles really lack any vision or imagination and animation although groundbreaking was still inferior to the model based space scenes from the original Battlestar Galactica TV show from the late 70’s. Despite all this the film isn’t without its charms. With the right casting and some decent space set action a remake could really work. After a breakthrough splicing together several animals, genetic engineers Elsa (Sarah Polley) and Clive (Adrien Brody) want to take things a stage further and introduce human DNA into the mix. After being refused permission by their financial backers the couple decide to do ahead regardless. Dren (Abigail Chu & Delphine Chanéac) the female creature that is created develops very quickly creating a range of challenges for Elsa and Clive. Ten years ago the character Dr. Susan McCallister (Saffron Burrows) gave sharks heightened intelligence in a bid to cure Alzheimer’s, things did not end well in Deep Blue Sea, why should they be any different in Splice! As the relationships develop we learn a little about Elsa’s unhappy upbringing, this soon has an impact on the way she interacts with Dren. I had read before seeing the movie that the two main characters borrow their names from actors from Bride of Frankenstein (1935) (Colin Clive & Elsa Lanchester), this gives a great insight into the dynamic of the movie. The real question is who is the real monster? The one that is created or the people who created it. Elsa & Clive’s relationship to Dren is very different to Frankenstein’s relationship to his monster often making for a more sinister movie. As a fan of writer/director Vincenzo Natali’s first two movies, Cube (1997) and Cypher (2002) I was hugely excited to see what he would do with the concept of this movie. To add to this Sarah Polley has been nothing short of sensational in even the most mundane of her roles. The darling of indie movies for the past decade her occasional moves towards the mainstream are always welcome (and in my book to be blacklisted by Disney is a greater achievement than winning an Oscar!). As much as I enjoyed the movie ultimately it was a little too disjointed to be a really good film. The movie starts and ends with the morel question of the right and wrong of genetic engineering without the cliché of “playing god” coming up. It does lose its way a couple of times and lives up to its name in that it feels like a the third act from a different movie was spliced onto the more measured and thoughtful build-up. Overall the film does work despite its problems thanks to an suitable if predicable ending. Ryu, who happens to be deaf and dumb, loves and cares for his sister who is in need of a kidney transplant. He offers his own but their blood types do not match. Luckily, or unluckily, he meets a group of illegal black market organ dealers who offer to get his sister a kidney in exchange for his and a good chunk of cash… around 10 million Won. Ryu agrees but does not have the money. When he’s laid off from his job, his anarchist revolutionary girlfriend suggests they kidnap his ex-bosses daughter and use the ransom to save his sister. These events lead to a tragedy that sets off a series of unfortunate events. Love to tell you more but don’t want to ruin this gem for anyone. Watching it again recently, I was blown away by how good and twisted it is even after multiple viewings. I will say this, Park Chan-Wook does not tell stories with happy endings. However, the guy can spin one hell of a yarn. This trilogy is his magnum opus. Each film even has it’s own style. Sympathy for Mr. Vengeance is the darkest, grittiest and most indie feeling of the bunch. A dark tale told in a dark way. I do like to warn people as well that the Koreans are not afraid to show violence and sexuality in their films… and Chan-Wook even tends to take it one step farther. Still, if you can put that aside and watch this film, you will not be disappointed! Dae-su (Choi Min-sik) is kidnapped and locked up in a mysterious prison cell (that looks like a cheep hotel room) with no explanation why. Fifteen years later he is released as suddenly as he was captured and with equally little explanation. He is given a black suit, a mobile phone, a wallet full of cash and a challenge to discover who imprisoned him. But is the real question not why was he imprisoned but why he was released? The tagline read “15 years of imprisonment, five days of vengeance” but who is looking for vengeance, Dae-su or the people who imprisoned him? In its simplest form the film explores the lengths people will go to for vengeance but there is so much more going on. Beautifully shot and impeccably constructed and paced, you take more from it every time you see it. Each twist and turn could have come across as ridiculous but doesn’t, the film always feels real and grounded, this is because each revelation is so perfectly timed. People talk about the now infamous live octopus eating scene or the often imitated corridor fight scene but the same attention to detail is present throughout the movie; to condense a key development down to the images in a photo album or show the passing of fifteen years through world evens on TV is pure genius in its simplicity. The action is simple and visceral but always effective, the visuals are beautiful and immaculately constructed and choreographed even when they are grim. If you are not repulsed by some of the things that happen in this movie there is something wrong with you but the overall result is so compelling and enthralling that it really doesn’t matter. With an ending that simultaneously pulls the rug from under you and kicks you in the gut the movie is truly devastating, it will live with you long after you have seen it. And what does all this tell us about vengeance? That’s something you will have to decide for yourself but it certainly explores the lengths people will go to for revenge as well as the futility of it. A film Hollywood could never have envisaged and should never remake! There’s no better authority on revenge than Chan Wook Park. 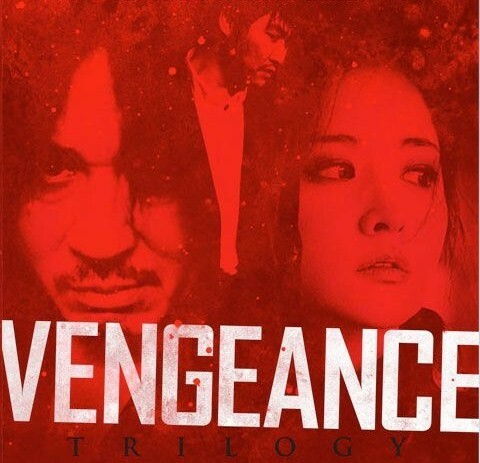 This master of Korean cinema has an excellent read on human nature, and he covers the whole range of this very powerful impulse with his Revenge Trilogy. In his various installments he covers the revenge of rivals, family, and those who’ve been wronged unintentionally. Each one approaches the topic of vengeance from a different angle—some instances being more understandable or justified than others. I find his final chapter, Lady Vengeance, to be the most morally black-and-white of the trio. The bad guys are pure evil and the good guys are given a carte blanche to take them down. In this installment Park addresses maybe the most merciless permutation of the lot: the revenge of a betrayed lover—specifically, the revenge of a woman. He knows that no one holds a grudge longer than a woman. There’s no slight she’ll forget and no offense she won’t take personally. A woman will mull over a betrayal for years, waiting for the perfect moment to exact her pound of flesh. But all that time and calculation makes her moment of reprisal all the more delicious. But the unwavering intensity of Park’s revenge sequences isn’t what makes his trilogy so powerful. He has the gift of letting viewers feel the pain of his characters for themselves. There’s not one chapter of this trilogy that hasn’t broken my heart, but Lady Vengeance always has me crying openly. Geum-ja has been betrayed by her lover. He tricked her into taking the heat for a murder he committed—the suffocation of a 5-year-old boy—and she’s had 13 years in prison to think about how she’ll make him pay for it. But when she gets out and starts to put her plan into motion, she discovers just how deep his depravity really runs. And we wallow in despair right along side all his victims. I guess the empathy Park makes us feel is necessary since we’re supposed to approve of Geum-ja’s vigilante justice. Don’t worry—you will. You’d be next in line for your turn with this guy if you were given the chance. The catharsis is complete, and it provides perfect closure for this final installment in what I consider to be the definitive treatise on vengeance. But while Chan Wook Park does make a point that the drive for revenge may universal, his nonchalant use of ghosts throughout the trilogy emphasizes the fact that his stories are still uniquely Korean. Two sisters from Arizona, Megan Graves (Clare Grant) and Abby Graves (Jillian Murray) go on one last road-trip before Megan leaves for a job in New York. After getting lost looking for a roadside attraction – the worlds largest thermometer – they find themselves a small town. The waitress in the diner where they have lunch gives them directions to Skull City a local attraction, an abandoned mining town turned museum. It doesn’t take long before people start to die. The most pleasing and surprising thing about the movie is that just when you think it will be a Hostel style torture movie it becomes a supernatural horror with characters you want to see survive. The thing that makes the movie work is the casting, Whilst Clare Grant and Jillian Murray aren’t great actresses, they are likeable and believable as sisters. 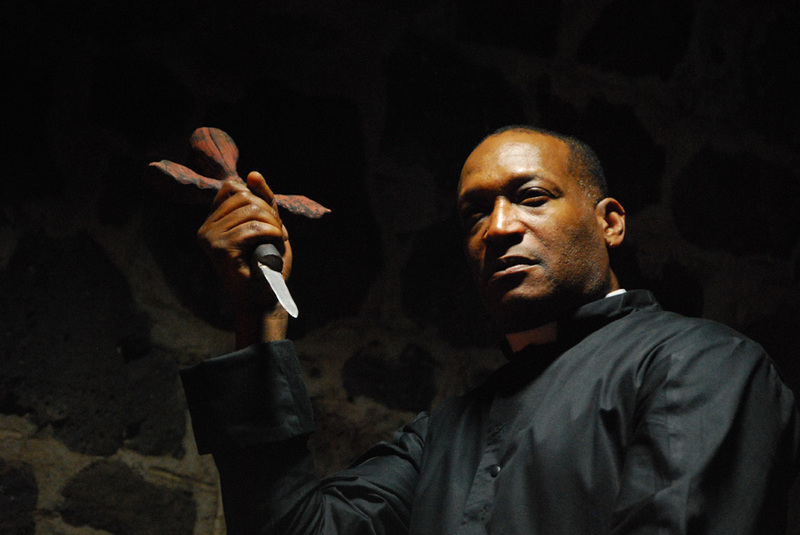 It also features Tony Todd, best known as Candyman, Bill Moseley who has real horror credentials with parts in The Texas Chainsaw Massacre 2 (1986), Army of Darkness (1992), House of 1000 Corpses (2003) and its sequel The Devil’s Rejects (2005) and Amanda Wyss who was Freddy Krueger’s first victim, in the original A Nightmare on Elm Street (1984). The story is hugely predictable and lacks originality and has no surprises. The acting is average at best and the photography isn’t great. It is basically a crappy B horror movie. It isn’t very good, but it really as no pretensions and doesn’t pretend to be any good and as such I kind of enjoyed it. I have heard “Buffy meets The Texas Chain Saw Massacre” mentioned, its not a bad description although it lacks the humour of Buffy and the scares of Chain Saw. The near epic eighty-four minute runtime flew by. When was the last time you saw a big budget summer blockbuster that didn’t treat its audience like idiots. Strangely enough it was two years ago and the movie was The Dark Knight, Christopher Nolan has done it again. Inception is an intelligent and thoughtful movie with sublime acting, fantastic photography and a plot with just enough ambiguity to emphasise the existential themes. Dom Cobb (Leonardo DiCaprio) is a sort of corporate spy, he steals information from peoples subconscious via their dreams. He is hired to use the technology involved to do something believed to be impossible “inception” (you may know what inception is from the trailer or other reviews, if you don’t I won’t give it away). There is also in issue with ghosts Cobb’s past. To do this he recruit’s a team who all have there own ability: Point man, Arthur (Joseph Gordon-Levitt); Forger, Eames (Tom Hardy); Architect, Ariadne (Ellen Page); Chemist, Yusuf (Dileep Rao). Playing out somewhere between a heist movie and a con-man man movie Robert Fischer (Cillian Murphy) is The Mark. Early in the movie Cobb explains to Ariadne (Ellen Page) that “you never really remember the beginning of a dream, you always wind up in the middle of what’s going on”, that’s how the movie starts, right in the action, is that telling us something about what we are seeing? That’s something I really can’t give away! Cobb also mentions “the chance to build cathedrals and cities, things that never existed”. As well as an explanation of what they are doing in the movie this also sounds like a definition of filmmaking, and more importantly sci-fi/fantasy filmmaking. And that is what this is, as well as everything else this movie is Christopher Nolan’s love letter to cinema. Having made a billion dollars with The Dark Knight, he could have made any movie, who at Warner would have had the balls to say no to him? Where some directors would have gone for a small arty film and others an explosive blockbuster with a big budget, Nolan made both. What could have been a rambling esoteric mess is actually by far the best movie of the year. There is a song that plays a recurring and significant role in the movie, there is nothing in the plot to suggest it has to be a particular song, but they use the same one throughout: Non, je ne regrette rien sung by Édith Piaf. Is this a reference to regrets the characters may have or is it an in joke (Marion Cotillard played Édith Piaf in La Vie en rose). Nolan is keen to play down both possibilities saying he chose it because of its distinctive sound. Another nice touch is the amount of real action on display in the movie where it would have been cheaper and easier to achieve with CGI such as the rotating hallway, that that really was achieved by rotating the set, but we are dealing with the director who somersaulted a truck two years ago. That’s not to say there isn’t CGI in this movie, there is a lot of it but it is used in the right way and the right place to achieve what is impossible in the real world like a Paris street folding over on itself. With the dark tone of the Batman movies Nolan is has gained an unfairly dour reputation. This movie also at times demonstrates a great sense of fun with Joseph Gordon-Levitt zero graffiti antics and Tom Hardy’s wonderfully over the top delivery. We also have Gordon-Levitt and DiCaprio running around in tuxedos looking like young versions of James Bond. Continuing that theme there is also a skiing scene reminiscent of 70’s Bond movies. DiCaprio plays it serious with a semi permanent scowl on his face he is always believable in his character, his scenes with both Marion Cotillard and Ellen Page are sensational. You leave the movie wanting to know more about these characters. The greatest testament to the quality of the script is despite the labyrinthine story it isn’t as hard to follow as you may have been told. Without giving anything away the ending is perfect. The first ever movie to achieve Five Stars out of Five. Based on the 1993 novel “In the Electric Mist with Confederate Dead”, the sixth of eighteen (so far) novels featuring the character Dave Robicheaux written by James Lee Burke. Heaven’s Prisoners (1996) starring Alec Baldwin was based on a later book in the series. On his way from a crime scene where a young woman has been brutally murdered detective Dave Robicheaux (Tommy Lee Jones) stops a drunk driver. The motorists turns out to be movie star Elrod Sykes (Peter Sarsgaard) and his girlfriend and fellow actor Kelly Drummond (Kelly Macdonald) who are in the area shooting a civil war movie. I an attempt to avoid prosecution Elrod mentions that he has seen in a decayed body in a swamp, little does he realise that it relates to a killing that has haunted Robicheaux for forty years. The movie features a great cast including John Goodman, Ned Beatty and Mary Steenburgen as well as blues legend Buddy Guy, but this is Tommy Lee Jones’ movie. Told from the point of view of Dave Robichaux, he appears in every scene and provides an occasional voiceover. Therefore the movie succeeds or fails on the character; a somewhat clichéd character, a recovering alcoholic who is happy to break the rules but has his own moral and ethical code, Tommy Lee Jones makes him a likable and sympathetic character. As the story unfolds the plot has a slightly predicable and convenient feel to it preventing it from being a great film. It is basically an old-fashioned crime/mystery thriller that does exactly what you would expect of such a movie. Not a classic that you will want to see over and over again but definitely worth a look and certainly better than a lot of movies that get a cinema release. Given the star power on display it is surprising that it missed out on a cinema release but it did and débuted on DVD earlier this year. Anyone who has seen Zodiac (2007) will remember the reference to this movie, if the events of that movie are to be believed it even provide inspiration for the real life Zodiac killer. It has also inspire filmmakers for nearly 80 years with numerous, copies imitators and remakes. The idea was even used for an episode of The Avengers (The Superlative Seven) and is spoofed in The Simpsons (Treehouse of Horror XVI). Count Zaroff (Leslie Banks) lives on a remote island. Using fake buoy’s to lure ships on to a reef in shark infested waters. His guests become his prey as his hobby is to hunt “The Most Dangerous Game”. Bob Rainsford (Joel McCrea), a big game hunter washes up after the motor-yacht he is travelling on sinks. 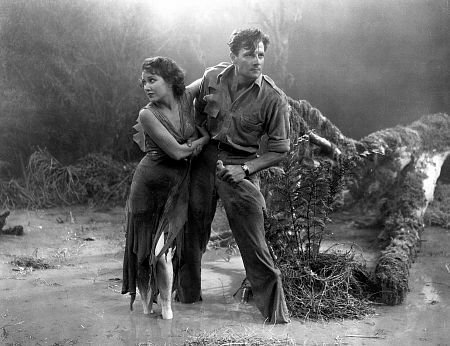 He soon meets other “guests” Martin Trowbridge (Robert Armstrong ) and his sister Eve (Fay Wray). Eve already suspects something is wrong, together with Bob could present Zaroff with what truly is his most dangerous game. 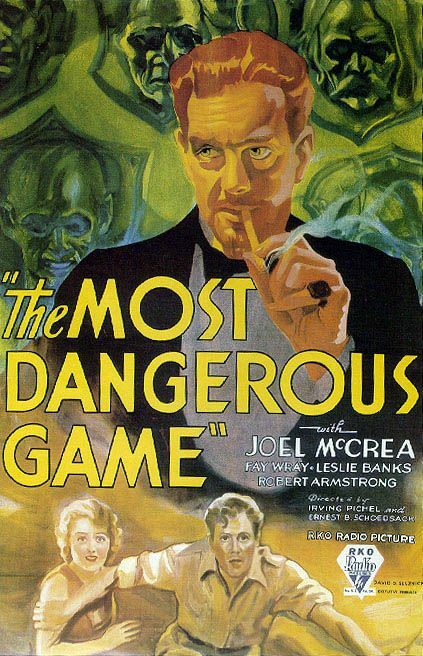 Made in 1932 parts of the movie look dated, the most notable of these are the use of close-ups of exaggerated facial expressions, a clear hangover from the silent era. The movie starts onboard a ship, all exterior shots are clearly a model and not up to the standard of King Kong (1933) that it actually shares a lot with (including one of its directors, sets and cast). Other than this the movie stands up really well and is wonderfully atmospheric. Due to the relatively low production cost it actually made more money than the better known King Kong. Coming in at only a fraction over an hour the movie is incredibly short, but its stripped down simplicity is to its credit. For those not used to older movies don’t expect a masterpiece but it is certainly a movie that is worth seeing and one that a few modern filmmakers fond of bloated and overcomplicated plots should take a look at.